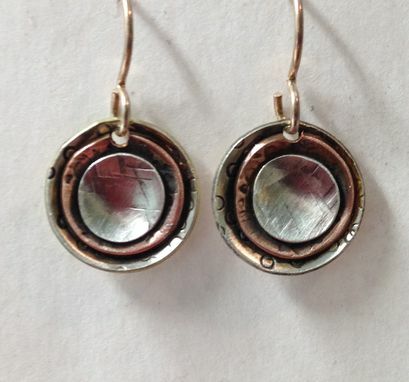 Petite earrings fabricated from sterling silver and copper. Each layer is stamped and textures. They are 1/2" diameter on sterling silver earwires. They are also available as post earrings.